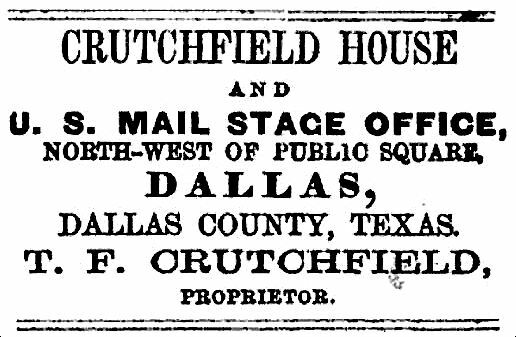 T. F. Crutchfield was a busy man who had his hands in a lot of pots in the very early days of Dallas. I’ll have to get back to him one day. 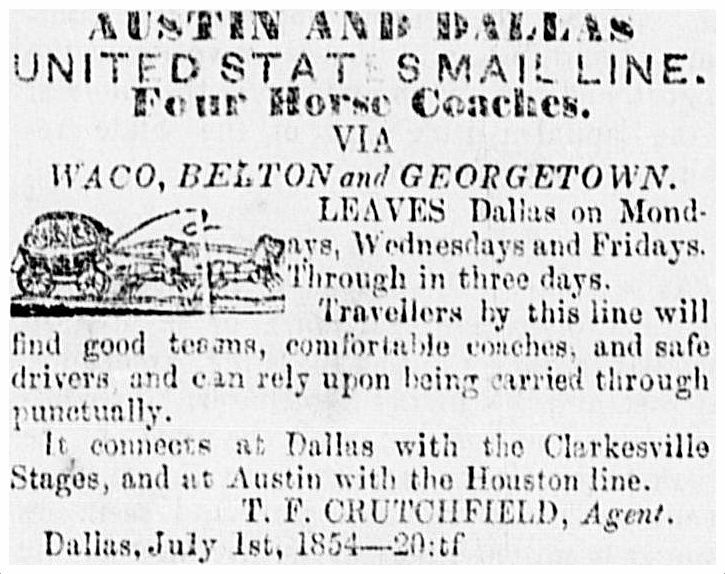 Above, an ad of his, dated 1854, from an 1855 issue of the Dallas Herald. Below, an ad from the 1858 Texas Almanac. An interesting article by Mike Cox on stagecoaching in Texas, from the Texas Almanac, is here.